Hardwell is asking his fans to create an acoustic version of his track, ‘Spaceman’, for the chance to have it featured in his Electric Zoo after-movie. Additionally, the winner will see full support from Hardwell, and will win VIP access to a Hardwell show of choice, and a meet and greet with him. To enter, you need to do is record your acoustic version and send it to win@djhardwell.com. 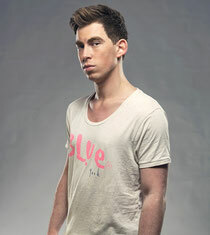 The winner will be chosen by Hardwell himself and announced on his Facebook page. Hardwell knows that many of his followers are musicians themselves and wants to allow them an opportunity to receive great exposure and get noticed. His after-movies have become a really important part of his career as they give him the opportunity to show fans his live performances, excitement in the booth, personality off stage, and life on tour. Many of his after-movies have reached hundreds of thousands of views and allow clubbers to hear new music and experience his shows. This time, he will be taking supporters on an emotional journey as he is followed through New York City and into his mainstage performance with the beautiful fan created acoustic version playing in the background.